October 2009 - Hairlicious Inc. 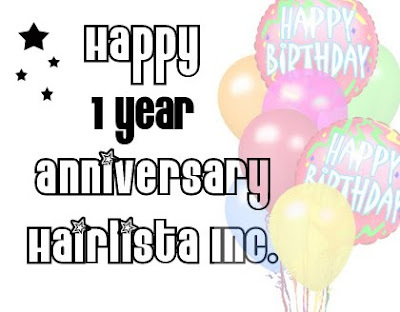 This is a very exciting time for Hairlista Inc. because we`ve officially been online for 12 months!!! With approximately 14,500 members, and growing, Hairlista Inc. has been able to meet the needs of many satisfied members (for member Testimonials, click here). We thank you all for supporting & joining Hairlista Inc. (especially the veterans that have been with us since day 1). We really appreciate your loyalty and activity on the site. Without you all, we wouldn`t be able to accomplish all that we set out to do. 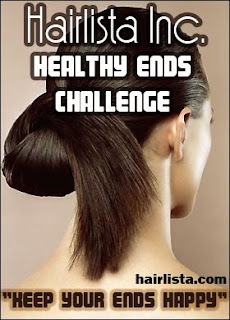 One of the MOST ANTICIPATED Challenges officially begins today on Hairlista.com. The objective is to retain length with Thicker Healthier Ends, in other words... Keep Your Ends Happy!! Come and join us , over 350 challengers already (and growing). Have Fun & We Wish You ALL the Best!! For those who live in colder climates (including myself), all know that winter will soon be approaching. 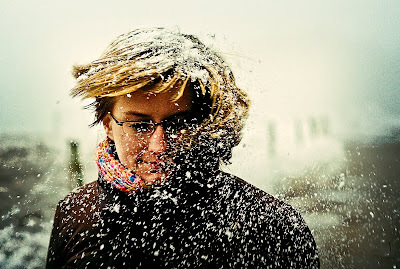 The heavy winds, snow, and drier air can take a serious toll on our hair if we don't take the necessary measures to protect it. Cut down on Wash N Go's & Co-washes (walking outside with a wet head will probably get you sick). Co-washing 1-2x/week should be sufficient. Wash your hair in the evening so that your hair air dries overnight as opposed to when you're outside. Moisturize more often! 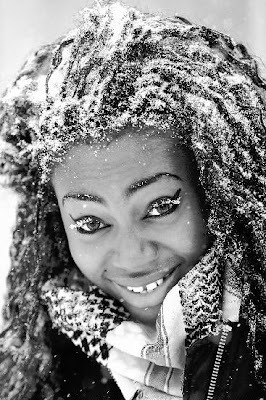 Ever notice how your skin needs more moisture in the winter? Well so does your hair. Moisturizing morning and night will help combat dryness. Bring out the heavier products! For example, Cholesterol Conditioners, Pomades, Butters (Shea, Cocoa, Mango). Increase and Intensify your Deep Conditioning Sessions. The dry heat inside the house and the cold air outside can pull moisture from the hair. Remember to deep condition with a heat source (steamer, hooded dryer, heat cap) for at least 30mins. Seal in your moisturizers with heavier oils. For example Castor Oil, Extra Virgin Olive Oil, Avocado Oil, Jamaican Black Castor Oil, Hollywood Beauty Castor Oil, or an Oil Based Moisturizer. This will provide extra protection from the brisk weather. Try Hot Oil Treatments. You can do them as a pre-shampoo treatment (20mins with heat) or after you shampoo. For an extra kick, mix oils into your deep conditioners for a 2in1 treatment. Add a satin/silk lining into your winter hats. You can even wear a satin or silk bonnet underneath your hats to prevent your hair/ends from drying out. Hide your hair! Increase your protective styling. 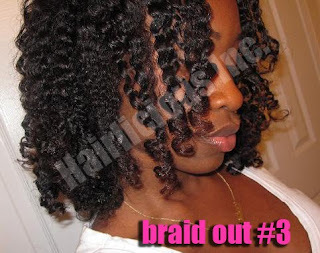 This will help retain length and lock in moisture. You can try buns, French Twists, Braids, Wigs (Half or Full), Weaves etc. What You Didn't See After The Show With Chris Rock and Solange! Oprah states that she would NEVER cut off her hair like Solange! Why? because she doesn't have the head for it. Do you think your head shape and features play a major role in which hair styles fit you best?